Jeanna Beker founded and is Executive Director of the Soho Center, a 40-year-old 501(c)(3) non-profit organization, which develops quality child care, early childhood, and school-age services to promote optimal child development and education. As Soho Center's Director, Jeanna Beker works with educational and community-based non-profits, state and federal agencies, and media professionals to bring high-quality and much-needed resources to communities across the nation - while continuing to give advice to parents of young children. For 18 years, the Soho Center's core program, The Children's Energy Center, was the largest early childhood program in Manhattan. Jeanna Beker created and directed year-round parenting seminars, parent-infant groups, toddler and nursery school classes, and pre-kindergarten classes as well as after-school programs (gymnastics, pre-ballet, music, Suzuki violin, puppet-making) for nursery- and elementary school-aged children. The Soho Center had four locations in New York City, a staff of 25 professionals, and specialized in helping first-time parents get their children off to a great start. Parents magazine featured the Soho Center as a model family and community center. The Soho Center's focus has always been to help children be happy, healthy and safe, well-behaved, creative, competent, smart, and successful. As Soho Center's Director, Jeanna Beker worked with four universities (New York University, LaGuardia College, Pace University, and Hunter College) to train teachers from their Child Development, Early Childhood Education, Elementary Education, Arts Education, and Psychology Departments. In addition to directing the Soho Center, Ms. Beker was chosen to design and establish the United Nations Child Care Centre for the children of diplomats and all UN employees. She co-founded the Downtown Schools Association of private and public elementary schools, day care centers, and nursery schools in Manhattan. She co-founded the Association For Parent Education made up of 35 member agencies throughout the greater New York/New Jersey area. And she did educational consulting for the toy industry, including Johnson & Johnson on prototypes for infant/toddler toys and the Toy Manufacturers of America for field-testing of pre-school toys. After 18 years in New York, Jeanna Beker expanded her work to more broadly help children and families nationwide. As the Director of the Soho Center, Jeanna Beker has provided professional development/training sessions and resources to over 17,000 child care providers and center staffs on child development, children's health and safety, nutrition, literacy, age-appropriate learning activities, limit-setting and discipline, school readiness and school success. 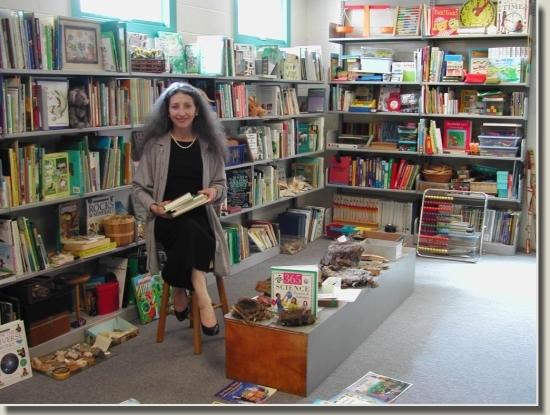 Jeanna Beker has compiled a model library of over 16,000 children's books for toddlers, pre-school, and school-age children. In addition, the Soho Center maintains an extensive collection of books on parent education, child care, early childhood education, and elementary education. With the funding and support of two Attorneys General, the Soho Center identifies and publicizes reliable health and nutrition resources to families and seniors via the web. In addition, the Soho Center working with state and federal agencies has distributed over one million dollars to child care providers to help improve children's nutrition and the quality of child care. The Soho Center helps parents and the child care/early childhood field enhance children's literacy, school readiness, and school success. The NCLI has received funding and support from major corporate sponsors including UPS, Hewlett-Packard, Reed Elsevier, Southland/7-11, and the Virginia Attorney General. It includes a Children's Literacy Web Site with extensive literacy resources and articles. In addition, the Soho Center gives away thousands of quality children's books to programs that serve low-income children. Since so many young children are in child care, the Soho Center (working under multiple grants, including an $804,000 grant from the Kellogg Foundation) has developed and piloted innovative and cost-effective outreach, networking, and training strategies in multiple states to improve child care for millions of children. Among other things, the Soho Center produced, successfully tested, and distributes four 0:30 second television nutrition/outreach PSAs featuring Linda Ronstadt singing Dolly Parton's I Will Always Love You to promote a federal child nutrition program. The Soho Center also produced the well-reviewed, nationally-distributed 25-minute DVD, The Business of Family Child Care, and the Child/2000 National Child Care Resource Directory which has been distributed by states' agencies to over 25,000 child care providers and centers across America.